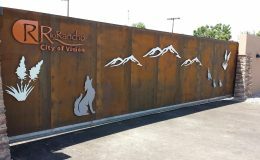 The City of Rio Rancho, New Mexico approached Scott's Fencing hoping their company would have a solution for a large, heavy gate that could also incorporate a custom design that would match the Rio Rancho flair. 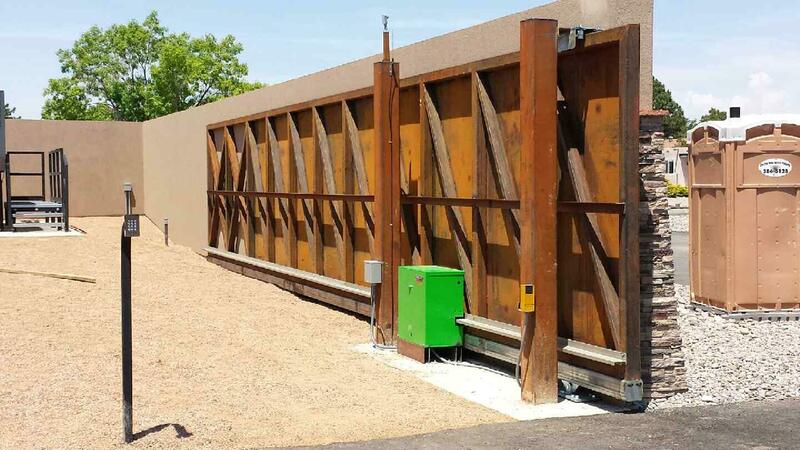 Scott's Fencing had the solution: offer the client DuraGates cantilever sliding gate hardware. The city agreed. 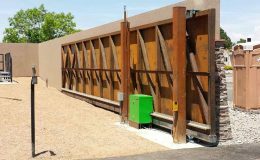 This recently designed and installed custom automatic slide gate, for the Rio Rancho Lift Station, uses DuraGates hardware model CGS-350.8G. The gate is 50ft long by 8ft tall and weights in at 2 tons. Wow!